The National Rifle Association annual convention in Indianapolis Indiana. the exhibit hall was over nine acres of guns and products for guns and over 60,000 people attended the convention. 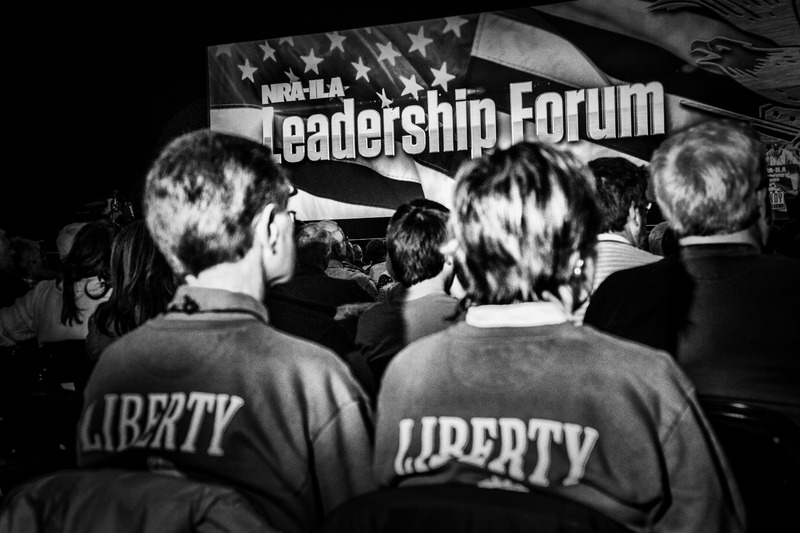 the leadership forum of the NRA convention.